Coach4 Life - Lifestyle & Business Coach: Is Your Comfort Zone Uncomfortable? Is Your Comfort Zone Uncomfortable? Many years ago when I was teaching and training adults I studied the area of Accelerated Learning. I learnt many valuable tools and techniques that I still use a great deal in my life as a coach. One of the most valuable things I learnt and regularly discuss with my clients, is the important role that the comfort zone and other zones play. Not only in learning but also how they can contribute to stress. 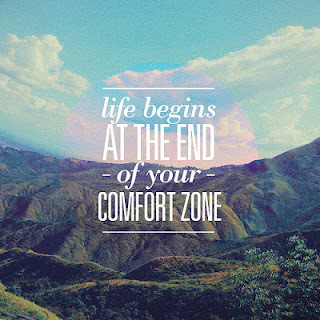 Our comfort zone, is all about that….comfort! In this zone we can perform or carry out tasks with little challenge or learning. We can do things in our comfort zone blindfolded. It is an area where we are accomplished and experienced. Sounds good? Actually, not always. In this zone we experience little challenge and growth and therefore we can fall down into the zone beneath, which is the Drone Zone. The Drone Zone is where it can feel like we are in a rut, not getting ahead, not enjoying any change, not practicing any creativity, in thinking or otherwise. Therefore, this is a dangerous zone in which to be stuck in for too long, as it can be hard to climb out of and create a vision of where to next. It is a “rut” zone that can create stress out of boredom and lack of challenge and accomplishment. It’s important to move out of this zone fast! That brings me back to our Comfort Zone: and if the Drone Zone is beneath it, what is above it? The Panic Zone! We all know this zone. This is where we get a little rush of adrenaline and maybe a little bit of inner talk telling us it’s too hard, could never do this or have this, or we don’t’ deserve it and so on. I relate the Panic Zone to being like popping your head up over the wall to see what else is on offer. Over that wall are all sorts of cool things you’d like to achieve but nervously wonder if they are out of reach. The tendency could be to duck back down. This zone definitely provides some challenge and learning and is a great zone to jump up into every now and then. You don’t want to stay in this zone too long as it too can create a bit of stress. So popping into the Panic Zone is a good thing every now and then. It is where we go when we are trying something new and a little bit scary, but this is also the area in which we learn and achieve the most. Applying for a new role takes us into panic zone, learning a new skill takes us into panic zone, having a courageous conversation takes us into panic zone. 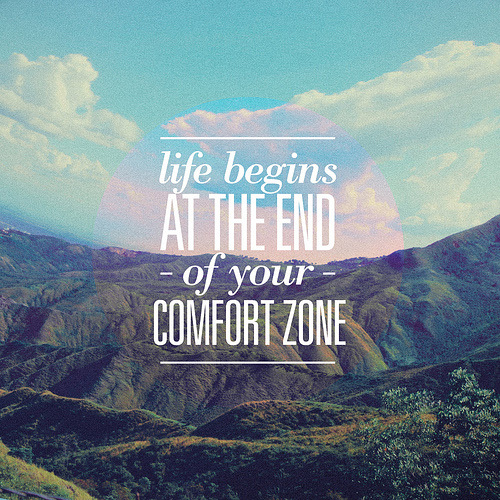 So here’s to challenging that uncomfortable comfort zone and popping your head up over that fence every now and then.